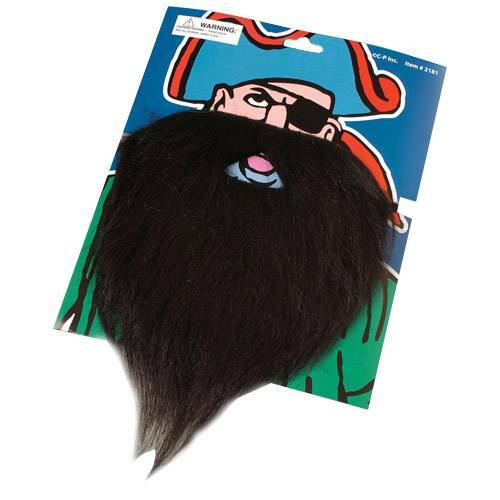 Dress up your pirate costume with this Black pirate beard and moustache set. Elastic band for fastening. U.S. Toy Exclusive! Stock up on all your Pirate party needs with US Toy. We have a wide selection of party favors and costume accessories. Find everything you need to please the pirates at your next Pirate party or event.